This article is intended to support you with the integration and configuration of anynode® to provide Exchange Unified Messaging functionality to PBX users in an environment in which a Skype for Business Server 2015 server deployment is available and configured to deposit voicemail into Exchange Unified Messaging (either on-premises or as part of Exchange Online). This method allows replacing the traditional approach of directly connecting the PBX to Exchange Online UM via a SIP trunk between an on-premise SBC and Microsoft’s SBC in Office 365. TE-SYSTEMS anynode® provides this capability through the unique combination of it’s proven SIP interconnection capabilities (which are qualified in Microsoft Skype for Business interoperability programs) and of Microsoft Skype for Business Unified Communication Managed API (UCMA). A list of supported PBXs is available here: anynode® Interoperability List. This list includes all major PBX vendors like Cisco, Avaya, Unify or Mitel and is updated every month. Are there any trial licenses available? Absolutely! We understand the importance of choosing the right software solution and the best way to do this is to test the product yourself. This allows you to see first-hand which products are right for you and your organization. A trial enables you to run anynode® as a fully functioning software for a limited time. Duration and number of concurrent sessions can be discussed by email to sales@te-systems.com. A typical PoC is 30 to 60 days. Session numbers vary depending on the customer needs. Is anynode certified for Skype for Business? Yes it is! Since Lync Server 2010 / Lync Server 2013, anynode is a qualified Session Border Controller ( SBC ) and forward compatible and supported with Skype for Business 2019.  Where can I obtain the latest release of anynode®? The latest release of anynode® and documentation is available in our “community” area of the web site: http://www.te-systems.de/community; a free registration is required. The community also provides access to comprehensive documentation to configure anynode® with the various PBXs available. What are the requirements to install anynode® as a Voicemail SBC? >Microsoft Skype for Business Server 2015 (preferred) or Lync Server 2013 environment (on premises), including a UCMA application server role (either logical or physical). >Exchange Online Unified Messaging (or Exchange Server Unified Messaging on-premises) configured as the voicemail solution for the Skype for Business deployment. >Skype for Business Deployment Wizard on the Application Server used for the anynode® UCMA connection. >Appropriate network access, routing and administration rights. >A Windows Server 2012 R2 or Windows Server 2016 operating system which is joined to the network domain and used as trusted application server for anynode®.